In legal circles enforcement normally refers to separate legal proceedings for enforcement of a judgment of a court obtained by a party who has succeeded in their claim. Most people will be familiar with the notion of obtaining a county court judgment, often referred to as a CCJ. Both CCJ’s and High Court judgments can be enforced through enforcement proceedings. Once you have a judgment against an individual or company, unless this is paid (satisfied), you will need to enforce the judgment or order. Your first port of call in enforcing any judgment is to track down the person or company you wish to enforce against. In enforcement proceedings this person is call the debtor. The process of tracking down the debtor is usually done by a solicitor or a tracing/enquiry agent. If you can’t find the debtor, or in the case of a company, can’t find an operational office or any assets, it is not likely that you will ever enforce effectively. What do I do once I have found the debtor? Once you have found the debtor, you need to find their assets. If you have a judgment you can seek an order from the court for the debtor to attend for questioning, sometimes called an oral examination. In the case of a company you can secure the attendance of a director. At the hearing the debtor or company director will be required to bring along documents and complete a form setting out all of its financial circumstances. You can also file with the court before the hearing any additional questions you want to ask. This process is used to obtain information as to the debtor’s assets. When I know the debtor’s assets, what enforcement methods can I use? There are a number of methods which can be used, all with varying degrees of cost to the creditor and probable success. For amounts to be enforced of less than £5,000, county court bailiffs may be employed within the district where the debtor is located. Once the court paperwork has been obtained, including payment of a court fee, the county court bailiffs will make an appointment and visit the debtor’s property with a view to seizing items belonging to them. There are a number of categories of items which bailiffs cannot seize, cash being one of them! The costs of the county court bailiff will be limited to the court fee – they are not paid by results and are employed by Her Majesty’s Courts and Tribunal Service. For amounts to be enforced of more than £600, High Court enforcement officers may be employed. 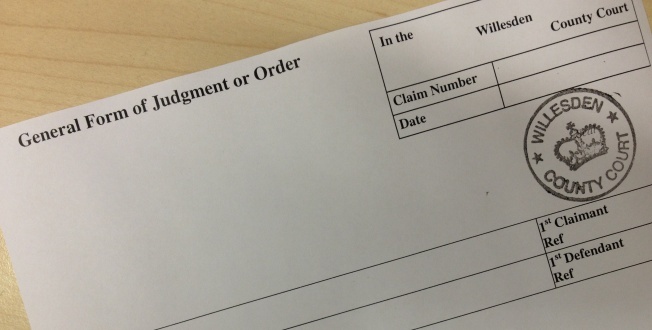 The Claim will need to be transferred to the High Court and a High Court enforcement number will be allocated to the claim. Following this the HCEO will visit the debtor’s property, usually without an appointment, with a view to seizing items belonging to the debtor. Again, like county court bailiffs, many items are excluded from seizure. The costs of the High Court enforcement officer are dependent upon what you have agreed with them – they are usually paid by results and are not employed by Her Majesty’s Courts and Tribunal Service, although are licenced. A charging order on land attaches the creditor’s debt to the debtor’s interest in the land or property. Upon sale of the land the debtor’s equity will be reduced by the debt and (subject to any other charges) they will receive only the equity remaining at the point of sale – if any. An interim charging order is made following an application to the court and the payment of the court fee. The court lists a return date for the interim order, should the order continue it will become a final charging order. The creditor can then decide whether to apply to the court for an order for sale, thus releasing their security held in the land or property. This is similar to a charging order on land although the debt attaches to other tangible assets, such as shares in a company. This is an order for the monies owed to a debtor by a third party to be paid directly to another creditor. The order is obtained by applying to the court and paying the relevant court fee. The court will issue an interim order which is required to be served upon the third party. The funds will be frozen pending the hearing of the matter at which point the court will decide who the funds should be released to – either the applying creditor or back to the third party. These applications are particularly appropriate is cases where the debtor has money in the bank as these funds can paid directly to a creditor if the court order is obtained. This is an order that a proportion of the debtor’s salary be paid by the employer directly to the creditor.These orders are obtained by making an application to the court and paying the appropriate fee. The debtor’s employer is then required to be served with the paperwork. As long as the employer accepts that they employ the debtor, the court will then make the order as to how much of the debtor’s salary is to be paid to the creditor. These applications are only appropriate for debtors who are employed (not self -employed) and the remaining unpaid debt is more than £50. Depending if the debtor is an individual or company will dictate whether they are made bankrupt or wound up. Insolvency works by crystallising the debts of the debtor and their financial affairs being taken over by the Official Receiver or Trustee in Bankruptcy (if individual), or a Liquidator (if company). The process of making someone bankrupt or winding up a company usually involves service of a statutory demand and always involves the service of a petition. The matter will be listed for a hearing at which point the court will either make the order, dismiss the petition, or give further directions for the petition. The costs of making someone bankrupt or winding up a company can be great and the prospects of recovery of the debt can be low. However, faced with insolvency proceedings creditors can prompt debtors to pay thus avoiding the other implications insolvency may have upon the debtor. Find out more about our insolvency services.